Studi D’Arte creates monumental works of art and internal features for contemporary artists who are well known on the world stage. came about thanks to the investment for the recovery and transformation of an industrial area of 2500m2, part of which focuses on cutting blocks and slabs and the rest is a modern sculpture workshop. The workshop is equipped for sculpting works of any size, but it particularly suitable for large monumental pieces. 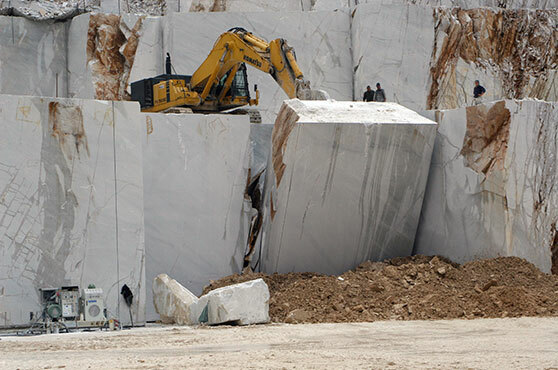 The quarries from which we extract the marbles, the works we have created and installed, the events we have organized. Studi D’Arte Cave Michelangelo came about thanks to the investment for the recovery and transformation of an industrial area of 2500m2 , part of which focuses on cutting blocks and slabs and the rest is a modern sculpture workshop. A ‘Tattooed David’ for Michelangelo Week.